10% Discount for 3 or more nights in off-peak season. (Off peak season is May 17 - 23, May 28 - June 6 and September 3 - October 10). Please note the weekly rates are already discounted for these time periods. Deposits: minimum one night's rate is required; 30% for stays over 3 nights. Personal checks are accepted for advance deposits only. Sorry, no personal checks upon arrival. Refunds: refunds for reservations, less a minimum $12.00 charge, will be given when notice is received at least 21 days prior to arrival. We cannot give refunds for weather, illness, late arrival or early departure, or ANY other reason. All rates subject to 9% Maine Lodging Tax. 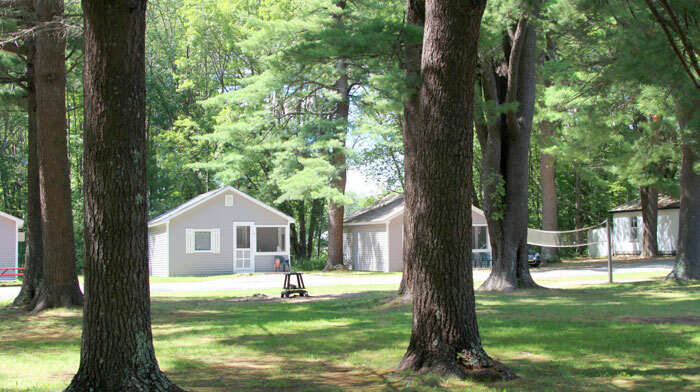 Cottage rates are determined by cottage and group size. All of our units are "Housekeeping Units." All necessary towels, linens, dishes and basic pots, pans and cooking utensils are supplied. Daily maid service is not included. Guests are welcome to exchange towels and linens at the front desk during their stay. Rates are quoted in U.S. dollars. Payments may be made by MasterCard, Visa, American Express, Discover or U.S. Cash. Personal checks only accepted 30-days prior to arrival. No Pets: We enjoy pets enormously but have found that cats and dogs are frequently very unhappy in unfamiliar surroundings and make poor neighbors. Additionally, many customers ask for pet-free rooms due to allergies. We have regretfully concluded that we cannot accommodate pets. Sorry - No Pets.